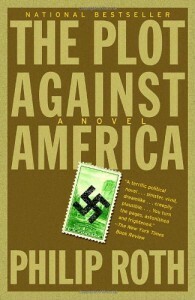 This was a fascinating novel - mainly due to what I see on the news every day today. I loved the alternative history and the way Roth builds up the rise to fascism and the anti-Semitic tones of the story is impressive. The characters are also nicely done, but the story itself did not have me turning pages. It was a slow burn, and there was never a real desire for me to find out what happens next to the main characters. That is why I did not rate the book higher. With that said, the parallels between our political climate today and the alternate world Roth wrote about over a decade ago were scary at times.